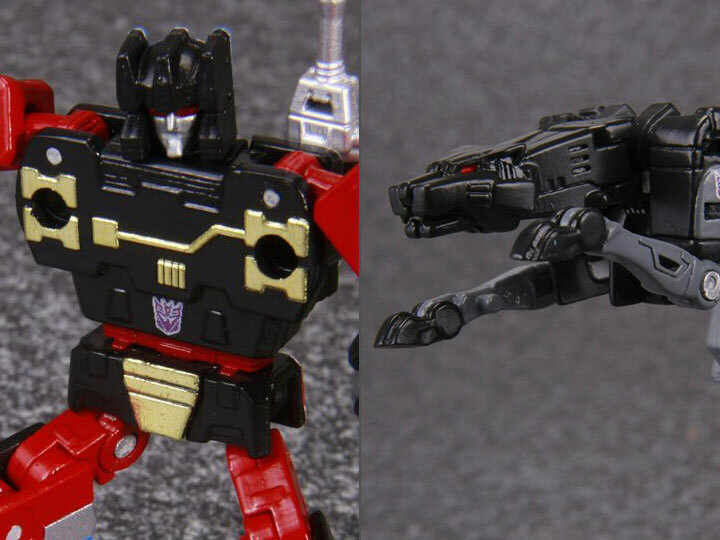 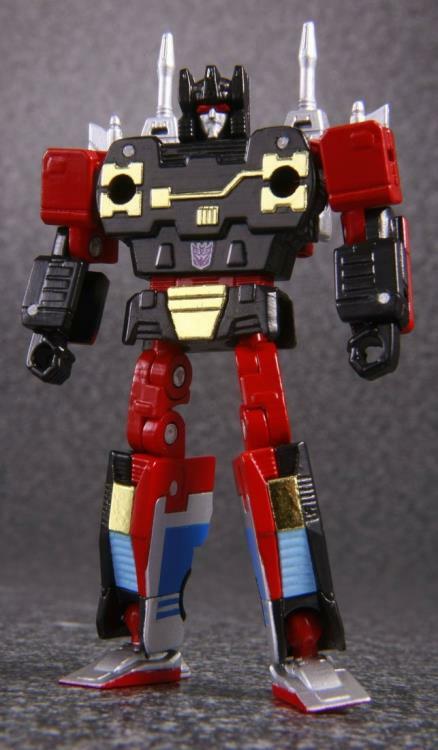 Masterpiece Rumble is an updated version of the original G1 toy that transforms between a robot and a mini-cassette that fits inside MP-13 Soundwave (Sold Separately). 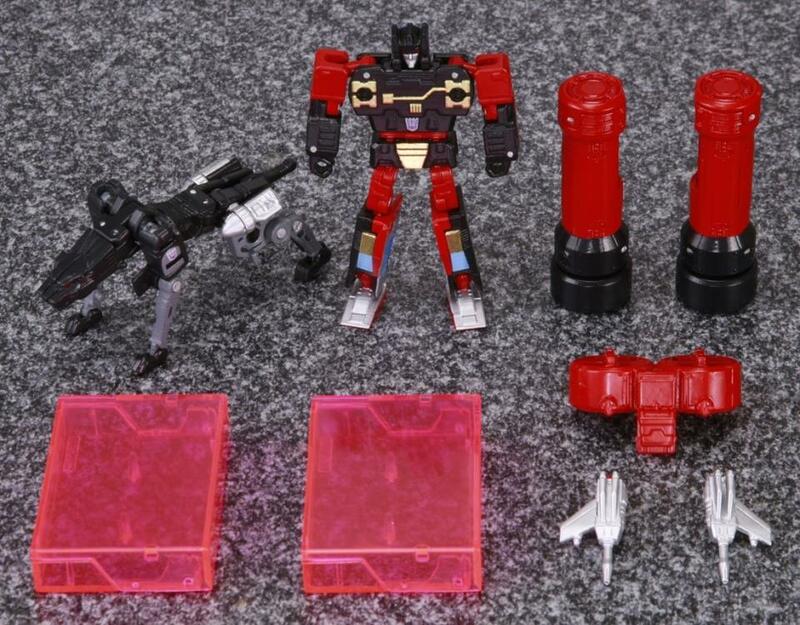 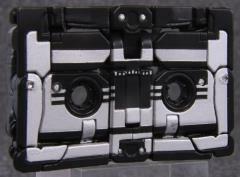 He comes with his Thruster Gun weapons that can be held in his hands or stored on his back as well as the pink cassette case to store him in when in cassette mode. 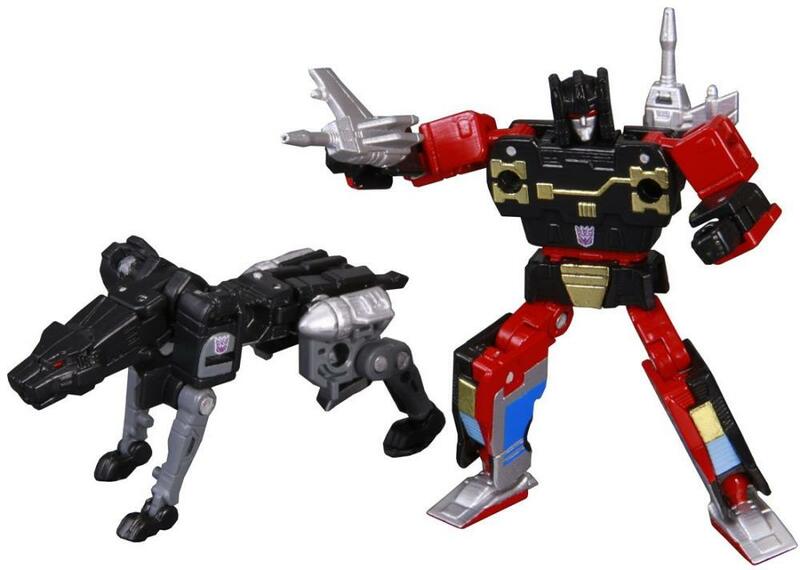 Rumble also comes with two piledrivers that fit over his arms and they can also be mounted to MP-13 Soundwave's arms to form cannons or be combined with MP-16 Frenzy's (sold separately) pile drivers to form Soundwave's sensor accessory. 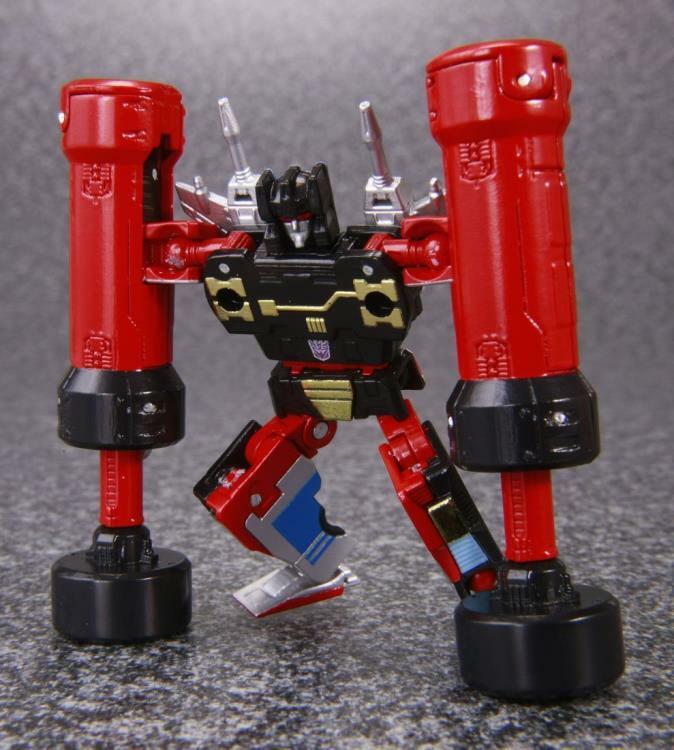 Rumble is a runt of a Decepticon with a Devastator-sized temper, and he loves destroying anything in his immediate vicinity with his piledriver arms. 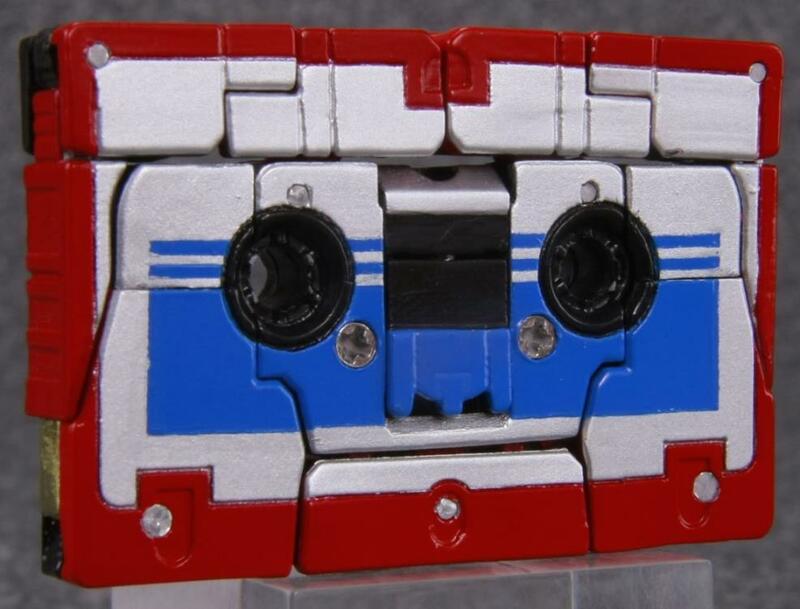 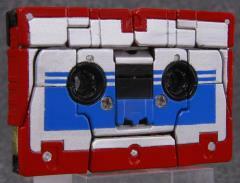 Masterpiece Jaguar transforms from a robotic jaguar into a mini-cassette. 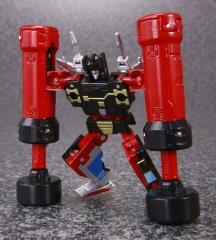 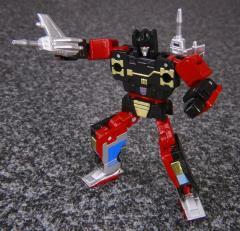 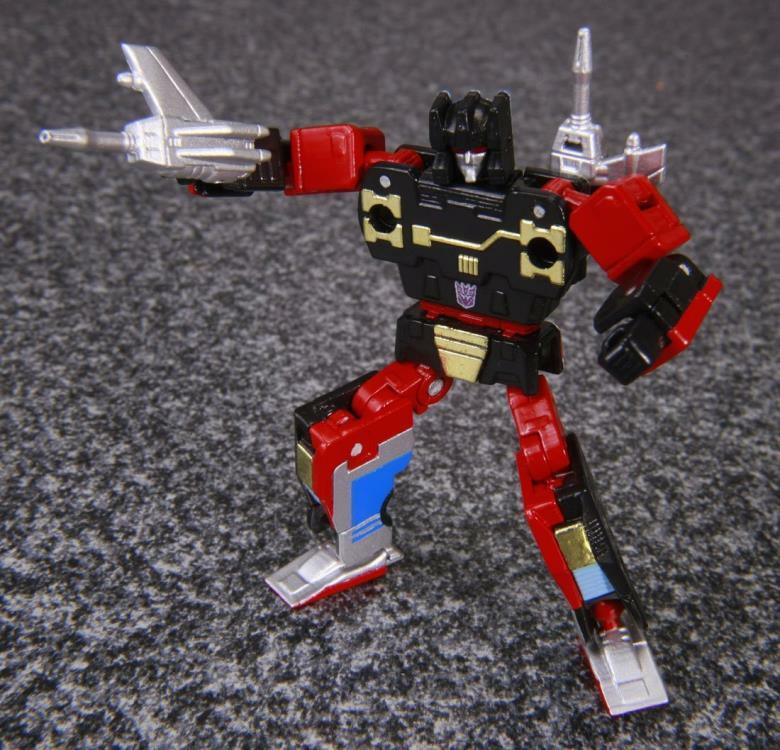 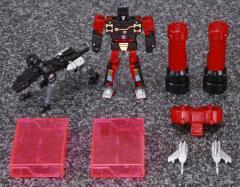 Unlike the G1 version, Masterpiece Jaguar's rockets are fully integrated into the transformation. 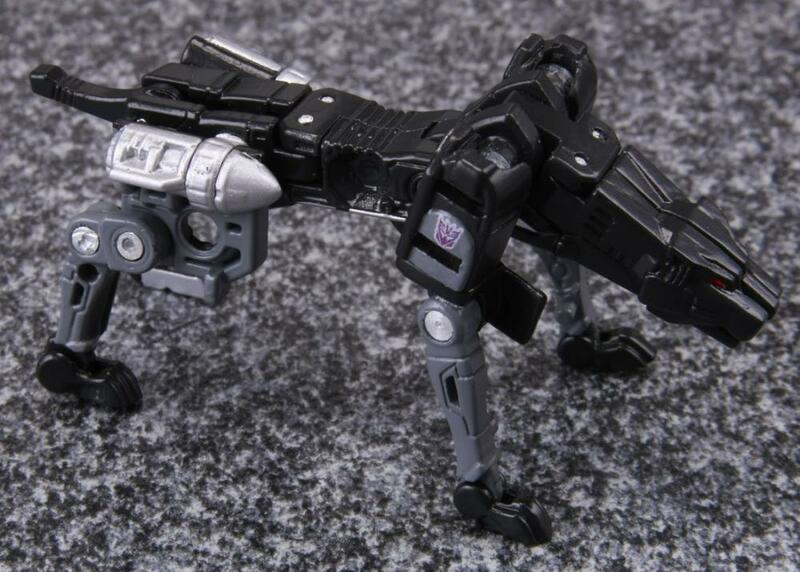 Jaguar (Ravage) is the most mysterious warrior in Soundwave’s cassette entourage, and the most loyal to Megatron and his cause. 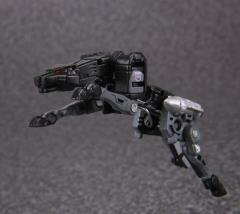 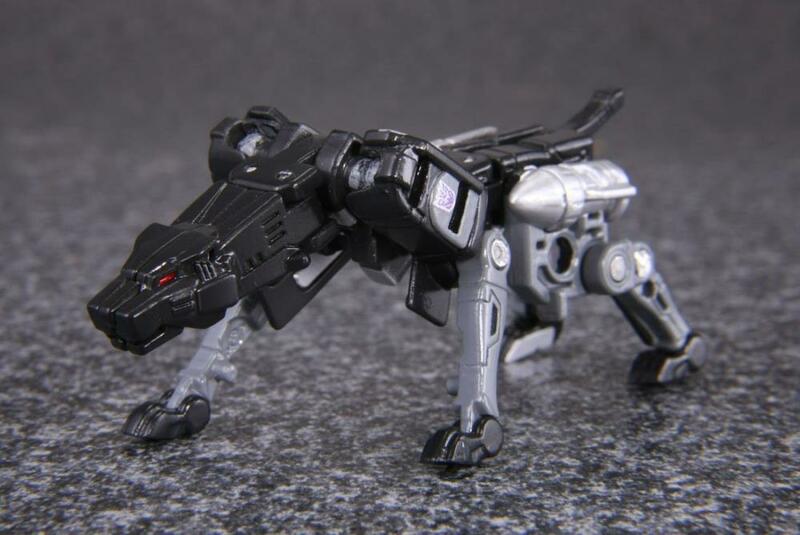 Ravage is an efficient and deadly war machine possessing an almost preternatural instinct for stealth and sabotage.